Since 1997, Majors Home Improvement has been the window company homeowners in Pensacola, Florida, and all surrounding areas trust for top-notch products and even better customer service. We are A+ rated by the Better Business Bureau and five-star rated by GuildQuality, and we have maintained these impressive ratings for many years. So, when you partner with us for new windows, you can expect the kind of individualized customer service you would expect from such a well-rated window company. 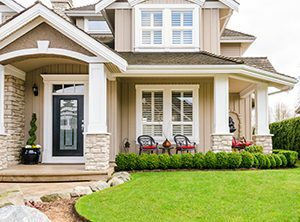 Stylish – Our windows come in a variety of styles and can be customized with exterior colors, interior woodgrain finishes, grilles and glass designs, and hardware options to ensure they complement your home exactly as you have envisioned. Energy efficient – Thanks to insulated glass and welded frames and sashes, our windows are energy efficient and keep the cold air out in the winter and the warm air out in the summer. This means your HVAC system won’t have to work as hard to make sure your home maintains a comfortable temperature, leading to savings on your energy bills. Durable – Our window frames are made of resilient vinyl, which means they won’t crack, peel, warp, corrode, or even fade in color. You can count on them to maintain their like-new condition year in and year out. Contact Majors Home Improvement today if you’d like to work with the window company in the Pensacola, FL, area that is committed to your ultimate satisfaction. When you do, we can schedule a complimentary consultation at your convenience.